We rate the city's best brews. 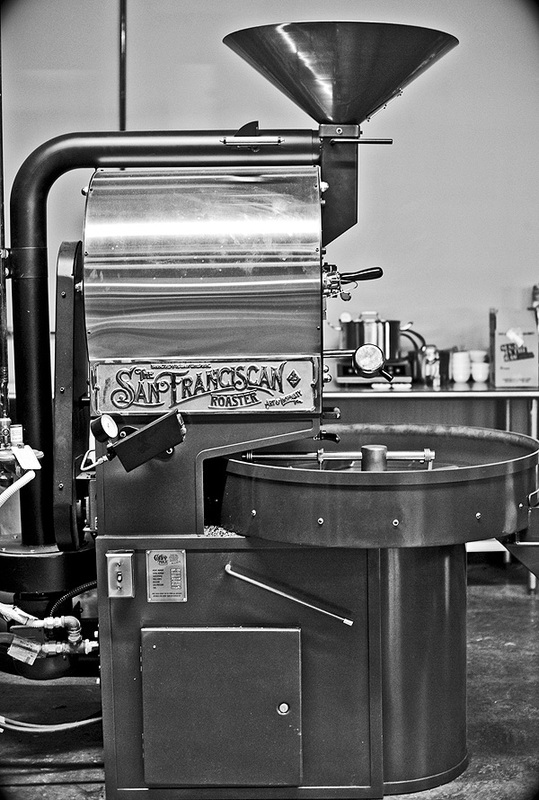 How we did it: We chose these eight establishments based on their progressive coffee service. Some offer unique brewing methods. Others feature coffees from the finest roasters in the country, with five of the eight roasting their own beans. Each coffee shop’s house coffee and espresso were judged on aroma, taste, and finish, using a 1-10 scale (10 being the top score possible). Brewing methods did not factor into the scores but are noted. This popular Oak Cliff hipster hangout is the oddity on the list, equal parts coffeehouse and full-service restaurant. But its dedication to Dallas’ burgeoning coffee culture—public coffee tastings, rotating beans from the world’s finest roasters, and, yes, that much ballyhooed La Marzocco Strada espresso machine, of which there are only four used in the country—earns the restaurant a place on this list of the city’s top cups. Beans: Austin-based Cuvée Coffee’s Las Trancas (Honduras). Brew method: Pour over. Aroma: Smoked tea with citrus undertones. Taste: So well-rounded that it practically caresses the palate, making it an insanely drinkable cup. Bright fruit with a hint of sour cherry keeps the flavor profile interesting without being aggressive. Finish: A hint of lemon zest leaves a clean aftertaste. Beans: Cuvée Coffee’s Las Trancas (Honduras). Aroma: A beautiful crema—almost frothy with caramel peaks—leads to the best aroma of all espressos sipped, equal parts sweet and tart. Taste: Rich and full, the mouthfeel is almost like molasses. That’s a good thing if you love a luxurious espresso. Likewise, the flavor is challenging and complex: buttery and malty with a lemon zest zing. Finish: This one lingers for a good while with a welcoming, nutty aftertaste. If you like thinner espressos, this one might be too big. Oddfellows’ shot is more like dessert. 9.1 Cultivar Coffee & Tea Co.
Co-owners Jonathan Meadows and Nathan Shelton worked at White Rock Coffee and Pearl Cup before they launched their own roasting company last year. Since then, they’ve taken over the small coffee bar (previously known as Stir) located inside Good 2 Go Taco in East Dallas. The guys are passionate about coffee and roasting methods, referring to coffee as a “luxury” and “something to be savored.” Bonus: complimentary cup of sparkling water with purchased espresso. Beans: Cultivar’s roasted El Salvador. Brew method: French press. Aroma: This was the best aroma of all cups sampled: tart nose with bright berry fruit and a hint of spice. Taste: Big, juicy mouthfeel with citrus flavor and baked sweetness quality, much like graham crackers. It was an easy sipper but still a little indulgent. Finish: Candied notes lingered long on the palate, but a bit of the roasting left a heavier finish than desired. Still, a beautiful cup of coffee. Beans: Cultivar’s espresso blend (60 percent Guatemala, 40 percent Costa Rica). Aroma: Beautiful, sienna-colored crema with a sharp cherry and butterscotch nose. Taste: The luxurious mouthfeel was almost too decadent: rich and heavy like velvet. Warm toasted pecans and caramel led to a citrus bite. Finish: Candied orange peel. 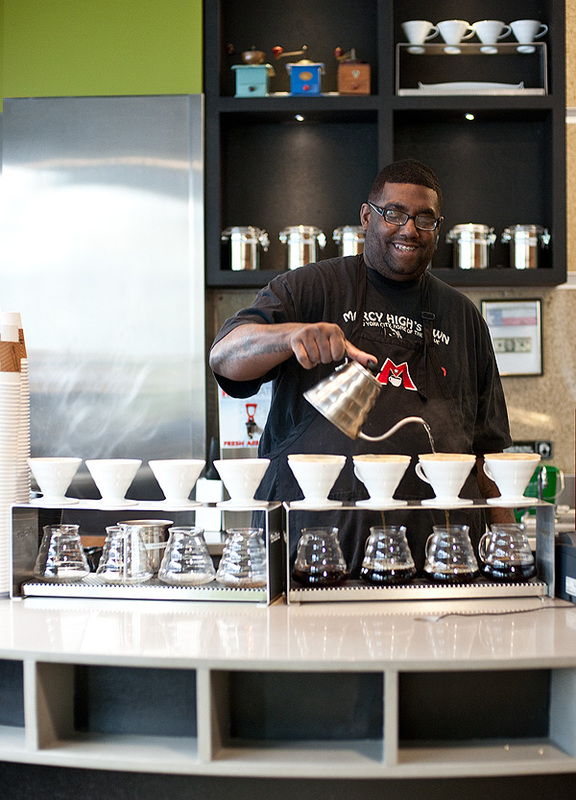 Opened in the historic Mercantile Bank Building last year, this is one of the newer coffeehouses in Dallas, and the only one that regularly uses beans from Chicago-based Intelligentsia, one of the premier roasters in the country. Beans: Intelligentsia’s house blend (Guatemala). Brew method: Pour over. Aroma: One of the best sampled, this nose was full of toasted oats and cocoa. Taste: An excellent, crowd-pleasing cup, it offered a little something for everyone: sweet, tart, and savory. Warm caramel and milk chocolate led to soft fruit notes. Finish: Baked apple pie. Does it get any better than that? Beans: Intelligentsia’s Black Cat espresso (Brazil and El Salvador). Aroma: Blond crema gave off a sharp and malty nose. Taste: An easy sipper with an almost milky mouthfeel. Well balanced, the brew held nice citrus flavor with soft acidity. Both espresso aficionados and novices will enjoy this cup. Finish: A mild, sweet aftertaste like raw sugar. Owners Jimmy Story and Garold LaRue have been friends since grade school. 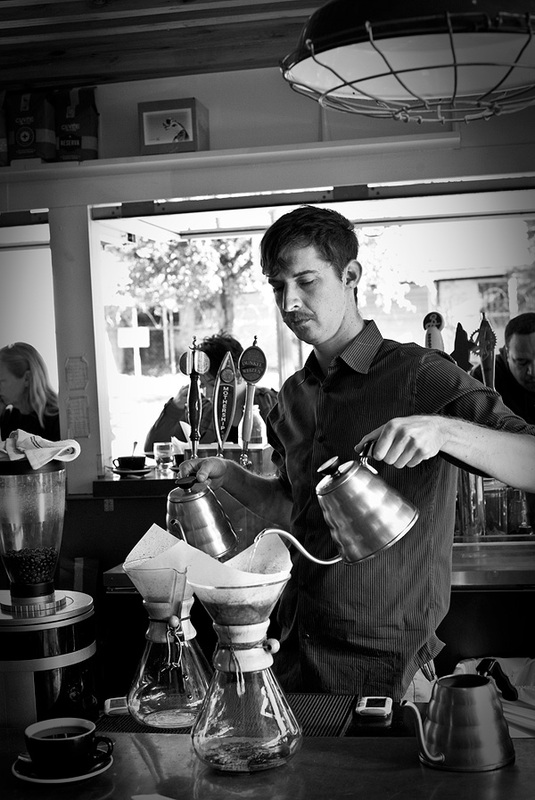 Their coffeehouse has a hip, geeky vibe with an airy, warehouselike interior. Beans are roasted on-site. Bonus points for Avoca’s ecofriendly philosophy. Customers get a 10 percent discount for bringing in their own cups, and coffee beans are stored and sold in reusable glass jars. Beans: Avoca’s house-roasted Guatemalan. 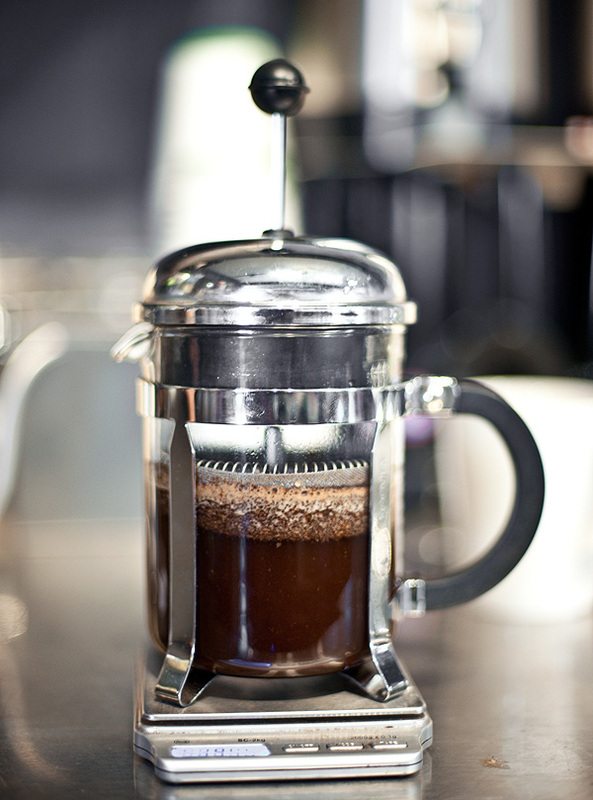 Brew method: French press. Aroma: Soft with a subtle, pinelike quality. Taste: The soft mouthfeel was deceptive. Tart cranberry and cocoa powder notes were powerful. The coffee was sharp and bit the palate—but in a pleasing way. Anyone wanting a bolder cup would enjoy this coffee. Finish: Slight anise aftertaste. Beans: Avoca’s Copernicus blend (Nicaragua and Peru). Aroma: Dark crema with a stoutlike nose. Taste: This was the chewiest of espressos tasted, with flavors of salted caramel and lemon zest. It was a bold sip, almost like eating a decadent dessert. Finish: For such a big espresso, the finish was surprisingly clean and mellow, with a cigar-like quality.